Microtrac’s Sync is the perfect system for a wide range of wet and dry applications including metal powders, ceramics, batteries, chemicals, pharmaceuticals, cement, industrial minerals, glass beads, proppants, paints, coatings, toner, and additives among many others. Users who need to measure both wet and dry materials can easily do so thanks to Sync’s one-step smart disconnect/connect mechanism. Changing from wet to dry analysis mode requires no complicated wiring or tubing reconnection. Simply disengage one sample module and engage the other. Whether your sample is wet or dry, big or small, regular or irregular — think Microtrac, think Sync. 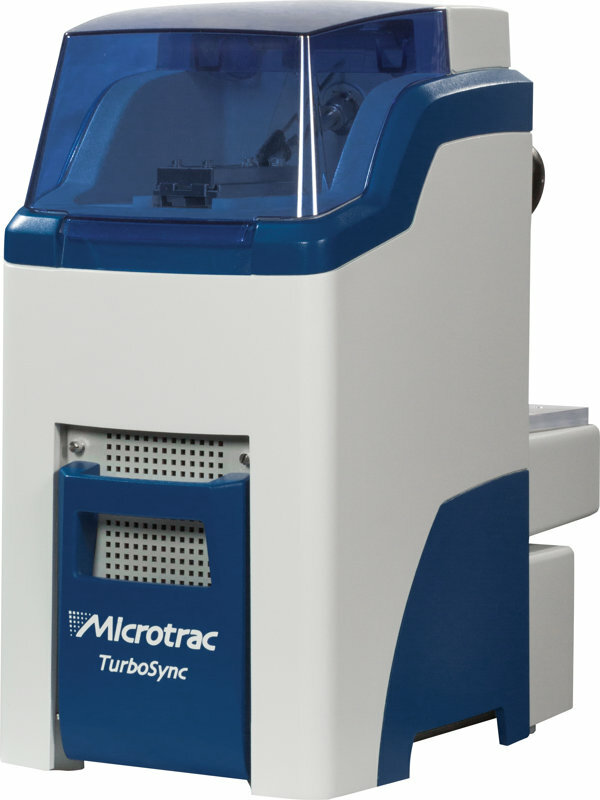 About Microtrac, Inc.: Microtrac strives to provide the materials characterization world with innovative, reliable, and repeatable particle analysis instrumentation. Microtrac particle characterization instruments are used by top industry professionals to conduct the following analysis: Particle size, 3D and 2D image analysis, zeta potential, molecular weight, and dust characterization. Particle size measurement by laser diﬀraction (LD) technology has become the most used technique research and industry wide, among both suppliers and users of particulate systems. It’s become a de facto standard for outgoing and incoming size quality control, reporting the equivalent spherical diameter (ESD) in volume % over a typical range of 10 nanometers to 2-3 millimeters. 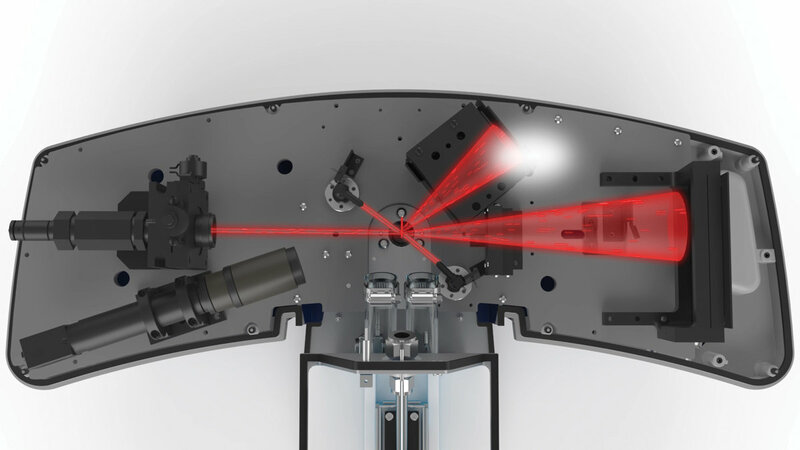 In a laser diﬀraction measurement, a laser beam is passed through a well-dispersed particle sample and particle size is measured by detecting the intensity of the scattered light produced. In Microtrac’s technology, this scattered light is measured at various angles up to 163 degrees. Small particles scatter light at large angles while large particles scatter light at small angles relative to the laser beam. The data is collected continuously throughout the measurement, is analyzed and put through an algorithm using Microtrac’s innovative modiﬁed Mie scattering theory and produces accurate particle size distributions for both spherical and non-spherical particles. The characterization of particulate systems, once dominated strictly by size analysis, is evolving. Particle morphology, as measured by dynamic image analysis (DIA), provides detailed information regarding the physical properties of materials. The key properties of particulate systems and the products manufactured from them can change with no signiﬁcant diﬀerence in the LD size distribution reported. Image analysis can rapidly identify problems and signiﬁcantly reduce troubleshooting time. Particles in a ﬂowing stream, back lit by a high speed strobe light, are photographed by a high resolution digital camera to create a video ﬁle of images for the ﬂowing particles. The pixel size of the camera and the number of pixels in the image are used to measure a large number of particle size and shape parameters, along with a measure of transparency. Microtrac’s DIA measurement principle involves sample that is introduced through a nozzle for dry dispersion and analysis or suspended in a circulating ﬂuid for wet analysis. As particles enter the sensing zone, the high speed camera will take photos and transfer the information to a PC. Microtrac’s sophisticated software delivers over 30 size and shape parameters to the user. Some of the parameters of importance to customers include length, width, aspect ratios (W/L), sphericity, transparency, solidity, and surface roughness, among many others. Although the measurement technology of DIA is straightforward, the data analysis used to identify and solve problems is extremely powerful. 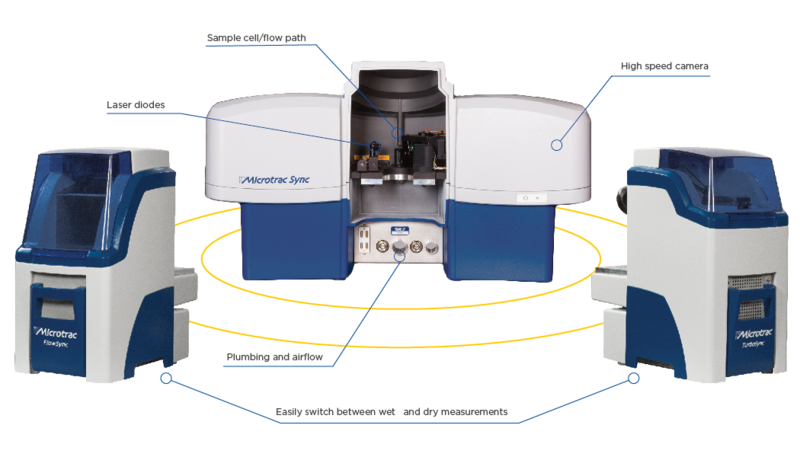 Microtrac’s synchronous size and shape analyzer, Sync, integrates the world’s leading laser diﬀraction technology with the world’s leading dynamic image analysis technology – Same bench, same sample, same run, same ﬂow cell, same user interface. Users can now get their tried and true particle size distribution together with particle morphology in a single, easy to use graphical user interface.